Massachusetts Military Heroes Fund is the proud recipient of two bibs from John Hancock’s Boston Marathon Non-Profit Program. These bibs will allow two runners to participate in the Boston Marathon on April 15, 2019 and to raise money for the Massachusetts Military Heroes Fund. The runner must be able to raise at least $7,500 for our organization, be able to complete the marathon in six hours or under, and illustrate a demonstrated commitment to local military families. Now, we just need the right runners. Could it be you or someone you know? Funds raised by our runners will go toward programs and services benefiting the families of military service personnel from Massachusetts fallen in support of post 9/11/2001 military operations. These families have sacrificed so much for all of us and they need our help. We are holding a contest to select the Fund’s runners. 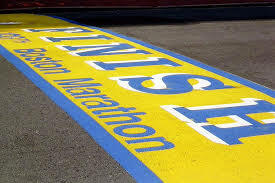 If you are interested, please complete our 2019 Boston Marathon Charity Runner App and submit it to us no later than October 19, 2018. Completed applications can be sent in by fax (617-542-0547), email: info@massmilitaryheroes.org, or by snail mail at 77 Warren Street, Building 2, Brighton, MA 02135. Applications will be evaluated based upon the runner’s commitment to local military families and ability to raise funds for Massachusetts Military Heroes Fund. The winning applications will be announced the week of October 22, 2018. We look forward to hearing from you! As always, donations to the Fund can be made via check, made payable to Massachusetts Military Heroes Fund, or through our PayPal link. If you have any questions, please contact us at 888-909-HERO. Please feel free to forward this announcement along to your family, friends, running groups or any other organization which may know the right runner!